Technology has changed sport forever. The internet has disrupted the media landscape and made audiences global. Streaming services have unearthed new revenue streams and specialist platforms are reaching new generation Z viewers at scale for the first time. But it’s more than just a play for scalability. The revolution that’s currently taking place across the sports industry is part of a broader need to improve the overall fan experience. Part of the reason for this is that the goal posts have moved. Fans want an emotional connection with the teams they support, and expectation now extends beyond the live event. Today’s viewers want to be entertained before, during, and after to final whistle. And this is where digital has changed the game. A mix of digital technologies have disrupted the future of sports entertainment, with OTT giving viewers more control over what they watch. Through OTT, fans can choose the device they want to use, the streams they want to watch, and the graphical overlay features to meet their needs in a way that’s just not possible with linear broadcast. Recent months have marked the tipping point for global sports content delivery that will forever change the experience for fans watching at home. But what about those in the stadium who choose to see the action unfold up close? Well, that’s the next stage of this industry shift. As the digital fan experience improves, so too should the in-stadium experience for die-hard fans that want to feel the thrill of a live event. Social media channels and dedicated team websites have become common. But there’s another level to this sports industry evolution, which requires a content hub. Sports teams need to offer a central destination for fans. They need to create a unique storytelling capability that can double up as a vehicle for advertising partners to get a better return on their investment. Delivering the ultimate fan experience means keeping fans connected and engaged at all times, whether that’s in the stadium or at home on the sofa. Sports teams are household brands, and this is the time for them to act accordingly by launching their own all-encompassing fan engagement platforms. The seismic shift taking place with sports content rights (coupled with eSports, VR, and countless advances in sports streaming platforms) signifies how revenue drivers have become more varied than they once were. And the latest enhancements in content delivery and social media engagement technology are acting as growth accelerators to create a better and more enriching fan experience that spans the online and offline realms. How does this work in practice? Well, it’s a two-part process: putting the right platform in place and knowing fans on a deeper level. The right platform is one that can better serve rights holders and sports brands. It’s a central hub for bringing together live sports feeds, behind the scenes content, merchandising, and community engagement in a way that improves the performance of all four areas of the modern sport business. Essentially, this means creating an emotional connection with fans to make them ‘stickier’ from a commercial perspective, providing a single destination for everything they want from their chosen sport – wherever they may be physically. This will take the form of a cross-device app that becomes a portal to the fan’s sport experience. Everything from accessing live content via subscription and on-demand assets via advertising revenue through to ticket sales, loyalty systems, merchandising options and in-stadium purchases, the future of sports engagement will be managed through a single platform for each brand. It’ll create a new approach to venue-based content delivery too, making it possible to track fans before, during, and after the game to send them targeted offers and discounts based on their individual habits. Empowered by social media, it’ll also help to build a sense of community and immersion that will drive loyalty and recurring revenue to a greater degree than what’s already possible. Owning the fan relationship from end to end boils down to having the right platform in place that can blend the digital and offline realms of sport together. 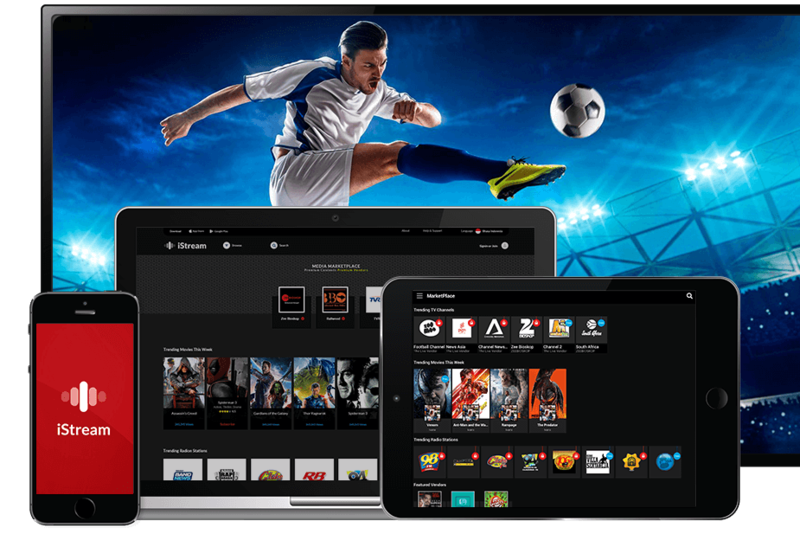 TV2U’s white label OTT TV platform, built on advanced data analytics, transforms the way rights holders analyse customer data by giving deeper insight into content consumption at a granular level. We delivered this last year for Indosat Ooredoo around the World Cup. Analytics proved to be the glue that bridges the gap between digital and offline, uncovering actionable intelligence that informs how service providers can maximise revenue from sport. In 2019, reliance on platforms like this are going to pick up speed, becoming the go-to approach for how sports rights can be enhanced to drive additional opportunities for monetisation and growth.